Within Teamwork Projects you can move or copy a file from one project to another or create a new copy on the same project. In the Files area of your project, click the options (arrow) button to the right of the file, and select Move or Copy file from the dropdown menu. When you choose Copy this file from the move or copy dropdown, you will then be able to select which project to copy it to. 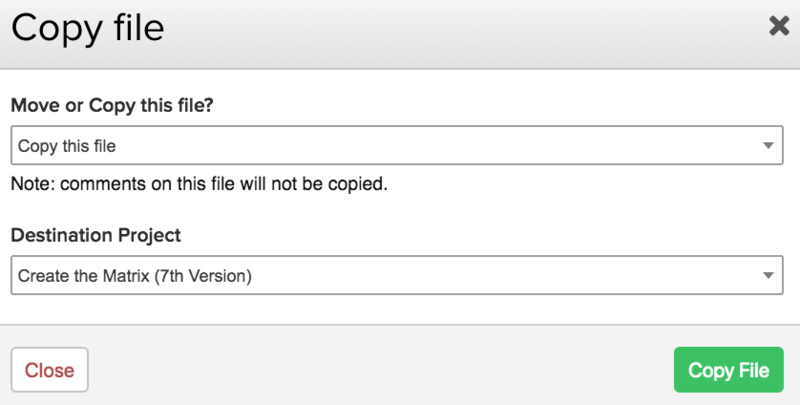 You can copy the file to the existing project, or to a different one. 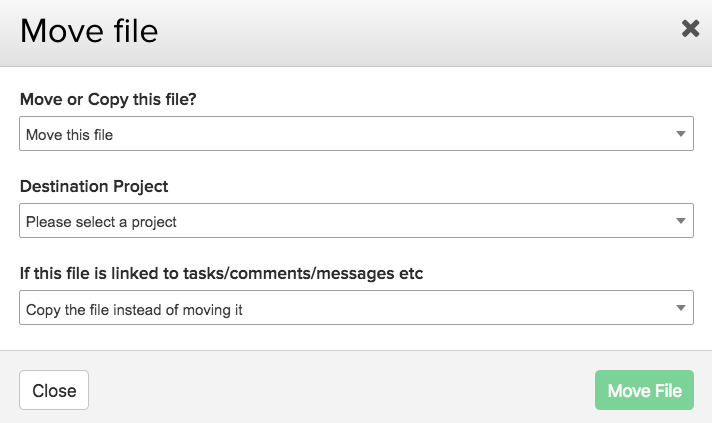 When you choose Move this file from the move or copy dropdown, will then be able to select which project to move it to. 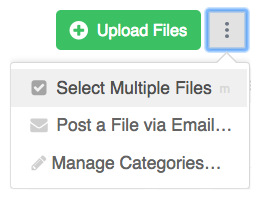 Select the checkbox beside each file you want to copy/move. Once selected, you will see an orange Move or Copy button near the top of the files area.